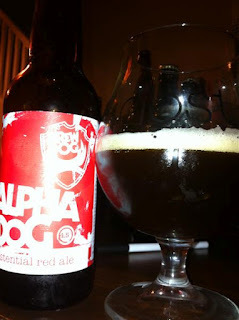 Here are a few random beers I have had over the last couple of months that I have not had time to mention yet. 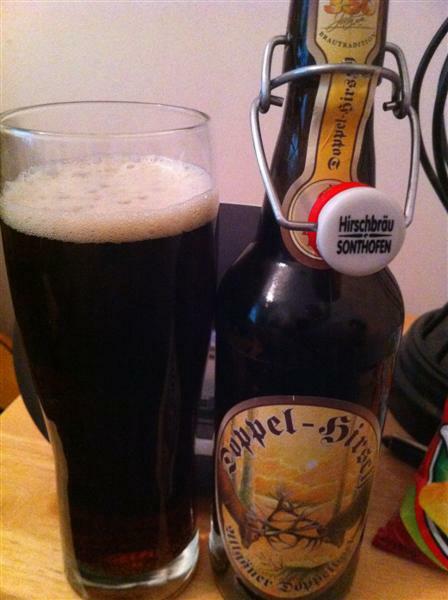 Hirschbräu Sonthofen Doppelbock is a 7.2% that's, well a little boring. There is nothing wrong with it, I just found it lacking anything that stood out beyond the huge toffee backbone. Not all beer has to be interesting of course, as long as it's well made and tasty and this certainly ticks those boxes. The brown flip top is also useful for homebrewers. 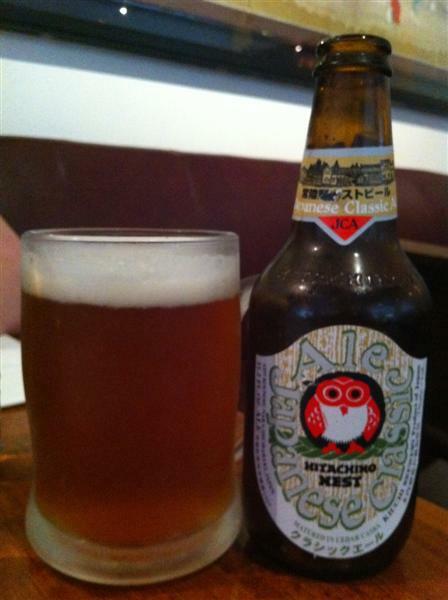 Hitachino Nest Japanese Classic Ale. Well not much to say, it's a pale ale and seems somewhat boozy. I suspect I had it far too cold as there was not a lot going on. The most interesting thing about it is the logo and it's from Japan. Oh and available in Yamamori sushi in Dublin. It was nice enough but not worth searching out. It is however certainly worth ordering if you are in a Japanese restaurant and want to drink a beer. Santa's Little Helper from Port Brewery in California is just a wonderful 10% imperial stout. An aroma of slightly old socks (not as bad as it sounds) followed by chocolate and slight alcohol along with a hint of coffee. I was expecting a big heavy beast but on tasting I found it thinner than expected but enough body to keep me happy. It had all the flavour hinted at in the aroma with what I consider perfect carbonation for a stout. There was a slight winey and dry finish. It was heaven. 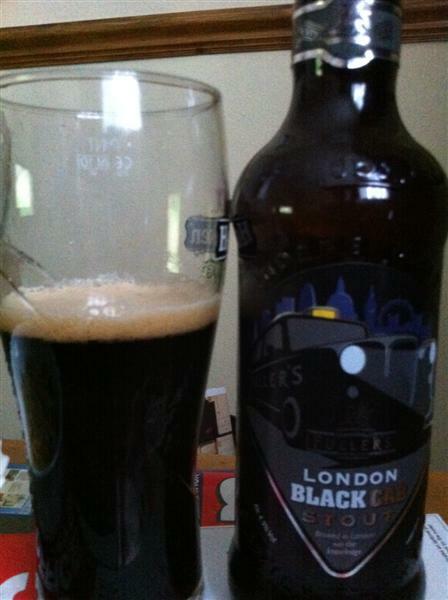 Black cab stout from Fullers is a full on velvet chocolate stout, without the chocolate of course. Some coffee and roast barley. Low carbonation (spot on for the style) and a slight summer berry twist. 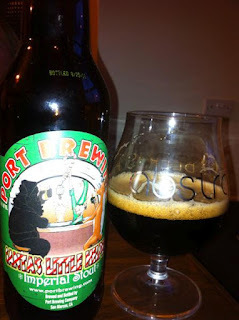 A slight lactic sourness in the finish along with milky chocolate. Lovely lovely beer and it's rare for Fullers to make a bad beer, they are consistently excellent and one of my favourite breweries. 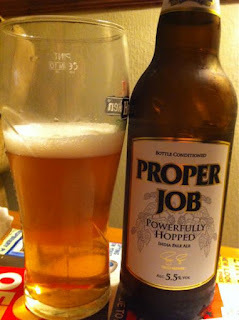 Proper job is a 5.5% APA from St. Austell (UK). The aroma has a citric lemon and orange bite followed by some stinky foot cheese. On tasting I got a slight bitter hit which moved on to a nice citrus bite. It's a nice, well made beer or a proper job you might say. What it's not is an interesting, in your face APA. 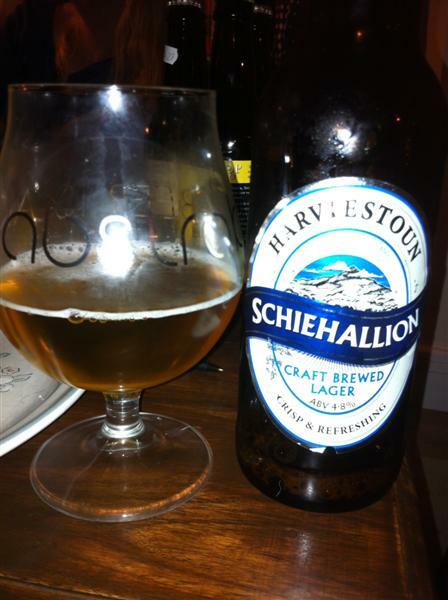 Being 5.5% it's not the most sessionable of beers, though it does taste sessionable. * These three bottles were courtesy of Steve at his Abstrakt tasting. The first two being pre-abstrakt beers and the last being the last beer before bed after 02:30.